Medicaid. 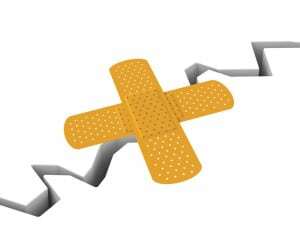 A band-aid on the health of society. Touted as health insurance for the under-served. Healthcare for people who cannot afford to pay cash for medical care or cover the cost of health insurance premiums under the Affordable Care Act. Honest people down on their luck or working minimum wage jobs excited to have medical coverage slowly realize the inhumanity of having insurance that no one accepts. They test their faith as they filter through hopefuls. Specialists accepting medicaid are rare. Perhaps the blame falls on a profession that feels entitled to compensation. No one begrudges an employee expecting pay for an honest days work. Most people do not begrudge their doctor either. Caring for those in pain is not your typical capitalist endeavor but the law intimidates big hearted doctors. Patient anecdotes suggest more than a few grinches have survived Cindy Lou and the Whobilation. What a conundrum, capitalism creates. Perhaps I am critical. Medicaid tries. Some people get care. Many do not. They do not find timely or appropriate guidance for the care they need. Take your pick of -ists: neurologists, orthopedists, physical therapists, anesthesiologists, psychologists, internists. As your friendly neighborhood spine specialist how am I to squelch the drama associated with unremitting back pain, weird tingly sensations and other neurological phenomena. Problem two for NJ chiropractors. NJ Medicaid only reimburses for the chiropractic adjustment. That’s good. Six bucks is certainly better than a goose egg. One lovely soul took my pity on me. Sincere gratitude is a beautiful thing. Back on task. Treatment choice is more important than remuneration. What happens when “adjustments” are not the best treatment option. What if, the spinal joint being “adjusted” is not the primary problem. What about other health conditions mimicking spinal pain. Or nerve lesions better served by other strategies? What of patients in need of advanced treatment or advice better served by another professional. Third problem. Chiropractic perception. Medicaid did not create the perceptions but it may have shaped their reimbursement policies on them. This is interesting. A love-hate relationship of sorts. On one hand, the profession has the highest patient satisfaction of most health professionals. We are a down to earth bunch who excel at connecting with people. On the other hand, some view us a quacks hustling the latest and greatest thingamabob. Or worse yet, swindlers unfit to brandish the title of doctor. In spite of it all, we have earned the right to be called physicians and the responsibility to diagnose spine pain. Ironically, not all of us dutifully accept that calling . Perhaps chiropractic reimbursement challenges are an echo of past practices. Sequelae of chiropractic history. Fortunately, the ANJC and NJ State Chiropractic Board are doing yeoman’s work self-regulating the profession in terms of continuing education, public protection and a unified message to change the perception of chiropractic care. Many good doctors are following suit. In the meantime, public policy lags. Lastly. Hustlers and swindlers. In a perfect world, we could reconcile (1) the need for sick people to receive quality care with (2) reasonable compensation for doctors while (3) timely penalizing those knuckleheads abusing the system at either end of the spectrum. Hell, that’s the goal of the ACA. Entitlement conversations exhaust me. But I am hopeful that conscious capitalism will surge and the system will self-correct. I like Bandaids. They are useful. Some of them even cute and funny. 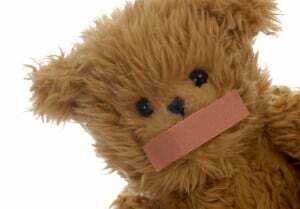 It amuses me that even the heartiest adult would humbly ask for bandaid to protect a boo-boo. Do we feel compelled to do something? Anything is better than doing nothing. But the grime of wear and tear demands periodic replacement. Fresh air to ensure positive progress. Service lies at the heart of every profession. Herein lies the fundamental idea of society. One person excels at some craft and offers that service to those who lack or refuse to perform that skill. People helping people. Garbagemen, educators, farmers, engineers, plumbers, proctologists. In this way, we serve one another and earn our daily bread. Health care cannot fall prey to capitalism. People get sold on medicaid and then cannot find the care they are promised. There is something inhumane in denying a helping hand. Denying a man the means to make a living is equally upsetting. Medicaid has not caught up to the hype. I am riding the karma train for now and trying do the the right thing. I am hopeful NJ will catch up.